Lieutenant General Webb is the Commander of NATO Special Operations Headquarters (NSHQ). NSHQ is the primary point of development, coordination and direction for all NATO Special Operations related activities, in order to optimize employment of Special Operations Forces. He has commanded the 20th Special Operations Squadron, the 352nd Special Operations Group, the 1st Special Operations Wing, the 23rd Air Force, and Special Operations Command Europe. His staff assignments ­include duty at Headquarters Air Force Special Operations Command, at the Joint Special Operations Command, and in the ­Office of the Secretary of Defense. Special Operations Forces (SOF) are no different from other forces who are challenged to conduct operations in degraded environments, yet some distinct peculiarities can be highlighted. Since the smallest study on this topic would fill entire volumes, the boundaries of this primer will be set as follows. First, considerations will span the far ends of the typical spectrum of Special Operations, starting with low-key and relatively low threat Military Assistance to indigenous forces, often in prolonged, austere and remote conditions. The other end of the spectrum implies deeply penetrating Direct Actions or Special Reconnaissance against technologically advanced adversaries. Secondly, we will consider degradation of the natural environment when induced by human actions, then look into the impact of the electromagnetic spectrum on communications and positioning, arguably the two most prominent factors during operations1. Emphasis will be given to SOF air operations and air-land integration. In many ways, SOF have consistently welcomed extreme environmental conditions which degrade sensorial perception in order to gain an advantage over an adversary unable to operate due to lower capability. Of course the demarcating line in this distinction is thin and perilous. Aviation assets are the perfect example of how it takes exponentially extra training and resources to improve capabilities by a small margin. Being able to fly a little lower, on a little darker night, and a little closer to the enemy calls for absolute dedication and uncompromised investment on the quality of our units for the sake of getting that strategically relevant mission done. Moreover SOF are, and must continue to be, pioneers in the use of breakthrough technologies to maintain the advantageous edge2. A great example is the fusion of sensors to provide a progressively wider multispectral view, to literally cut through all fogs of war3. Also, innovative ‘smart’ sensors and passive defences, such as reactive opacity materials, do help in ­negating the effects of enemy-made sensorial degradation (e.g. through the guided application of laser and light). As an important by-product of this demanding necessity, particularly in the case of aviation, ­technological advantages can be battle-proven in small quantities by lean and driven organizations, to be incorporated later by conventional forces. Nations that adopt and exploit this model usually report distinct benefits to both forces (SOF & conventional) and industry. In essence, the successful conduct of Special Operations greatly depends on the capability to operate deep into environmentally degraded situations, but the required sensorial ‘edge’ demands increased investment in training and equipment. SOF could be the first and only military presence in remote and/or austere scenarios like disaster relief operations and unconventional warfare. The winning factors in these cases are a light footprint, self-reliance, and inventive ways to leap the next hurdle. Translated for the Airman, this means specialized and unorthodox approaches to the well-established mantras of conventional maintenance, flight safety, airworthiness and crew rest. In Special Operations, punishing limitations of otherwise comfortable and sound procedures must be mitigated with specific selection, training, broader experience and risk management. The finishing touch is provided by a highly mission-driven and adaptable attitude some call ‘the SOF mindset’. Therefore, personnel selected to become SOF should have extensive conventional mission experience and have exhibited exceptional operational flexibility. This will ensure that, once they have completed their SOF specific training, not only will they be accustomed to genuinely ­austere environments but they will also be accustomed to the unique challenges they may encounter in a space, cyber or electro-magnetically degraded battlefield which denies technological aids. We should all be familiar with Boyd’s OODA loop (observe, orient, decide, act). The OODA loop is a very personal model which happens within a single entity. What our military need is to add a ‘C’ for communicate in between all of the phases. This will allow all fighting entities’ OODA loops to be connected and synchronized for a successful job. But warfare will do everything to blur those ‘Cs’ and break team cohesion, with Electronic Warfare on the frontline to render our radio exchanges ineffective or even misleading. There is mitigation built into today’s wide range of communication systems, over a huge spectrum of frequencies and capabilities. Yet, solutions abruptly narrow down when ‘Beyond Line-of-Sight’ (BLOS) is ­required. Due to a combination of remoteness, security, risk profile, lightness of burden and, therefore, dependency on many supporting assets, Special Operators are among the most demanding customers for BLOS. Again, investment in lighter and more sophisticated radios goes a long way but requires uncompromised investment in equipment and training. Alternative and creative techniques for bridges and proxies should be part of every operator’s technical training but the real difference can be once again achieved in the human domain. Coordination and joint planning between forces must be elevated in order to fall back on solid mutual ­understanding and well-choreographed practices. While the habitual relationship between ground and air SOF is easily recognized as a critical ­factor (yet not always practiced extensively), some nations have taken steps to strongly orient conventional air capabilities towards support of Special Operations, particularly with fast jets. A regular frequentation ­between apparently distant communities leads to personal relationship and professional understanding that can overcome many ­electromagnetic disconnections and lead to optimal results. The beneficial effects continue as personnel ‘grow’ together from the battlefield to the C2 structure, ­enabling unprecedented synergy. Global Positioning System (GPS) has provided an excellent service for the Allied soldier, sailor and airman for more than a quarter of a century. Frankly, it has been wonderful to have that ‘big red dot’ on our battle plan to navigate the perilous avenues of warfare. Yet, what had become addictive complacency in electromagnetically uncontested battles has been swept away in a puff by some of the jamming capabilities displayed in recent hybrid scenarios. As a sub-set target of communications jamming, space- and Ultra High Frequency-based GPS is one of the most vulnerable. For SOF, precision and swiftness of maneuver are a key factor to achieve relative superiority over a stronger force. In unconventional warfare scenarios, man-portable precise positioning is one of the thin advantage margins brought forward by introducing technology on an austere field. Its benefits are so much more impressive when it enables advanced joint fires and effects at the call of otherwise more primitive factions of combatants, with the bonus of an unmatched reduction of collateral damage. Against an advanced threat, very little margin is allowed for navigation errors and botched landings off the ‘X’, as well as the complexity of the mission calling for reliable and low maintenance systems to maximize attention to the fight. But, while in aviation and on vessels GPS has been coupled to inertial navigation systems that nearly match its abilities, alternatives are not yet so rosy for operators in vehicles and are definitely uncomfortable for the dismounted4 (even if interesting hybrid solutions are on the horizon5). The development of man-portable, self-contained devices has not fully materialized, with viable solutions yet to be fielded. Therefore, all SOF should maintain a high level of proficiency in traditional positioning and navigation methods. Some may remember a paper map and a compass, with a fancy watch to match … luckily these basic tools are not alone, as advanced sensors such as the ones already mentioned do provide a great deal of assistance with visual (or cross-spectral in this case) navigation when a degradation of GPS, with little to no technological alternatives. It is true that the vast majority of aircraft benefit from the increasing quality of inertial systems, but little changes in the most dynamic and decisive ­phases of combat if there is no effective hand-over of precise coordinates from the surface. To preserve the huge advantage brought by air power to ­Special Operators who can tether to it, the same considerations on the habitual relationship made for communications are valid, with great ­mitigation in utilizing simple, well-rehearsed alternative reference ­methods which could restore a healthy portion of lost precision. In our western cultures and in the way we conceive warfare, Chemical, Biological, Radioactive and Nuclear (CBRN) threats are the thing of nightmares and supervillains, with an incomparable power to coerce, destabilize and terrorize. SOF are often the military tool that could be called to pre-empt the fielding of such weapons, with the associated high risk of exposure and a requirement for no-fail specialization. Particularly for aviation forces, the most recent asymmetric conflicts (up to Operation Unified Protector) reduced the perception of the threat, luring numerous nations into ­savings on the expensive defences against CBRN. As a collective in NATO, we are now facing rogue states and aggressively postured superpowers with ­capable arsenals, along with terror mongers with predisposition for the tragically spectacular. No matter the scenario, SOF and their aviation must be enabled to maintain the capability to achieve the mission in environments potentially highly degraded by CBRN to ensure the ability to target and neutralize vectors and facilities as well as to interface with other forces for a seamless handover of consequence management. Special Operations are particularly effective, and cost-effective when they are utilized to understand and shape a crisis, well before it reaches a violent peak and an oversized international conundrum. SOF can give their unobtrusive best when helping to seam a torn political situation that could give way to the use of force. Especially within an Allied nation, SOF can understand, report on and defuse hybrid threats and prepare to counter the onset of hostile armed parties of any kind. But these uniformed capabilities must find a mechanism to seamlessly support the national legislation and law enforcement, legally and effectively. This is a fine wire on which to tread, but the rise in aggressive behavior around NATO ­borders calls for innovative and sensible approaches. As of now, the ­Alliance struggles to bring all of its combined potential to bear in support of an Allied or of a strategic partner since an elevated threshold of hostility is needed to grant national access to Allied military capabilities. In this ­scenario, a particularly smart opponent is free to progressively degrade the political, economic, social and security domains to favor its strategic goals, while denying NATO some of its most effective low yield/high ­payoff military options to strengthen security. More concerning, the same ­opponent will exploit the troubles artificially induced in society to use its forces as relief, thus gaining precious ground. NATO could consider ­enabling mechanisms of gradual response and pre-arranged, on-call ­connectors between national legislations and the use of SOF in order to cohesively and appropriately respond to hostile human environment ­degradation that lurks below the threshold of gun-toting warfare. 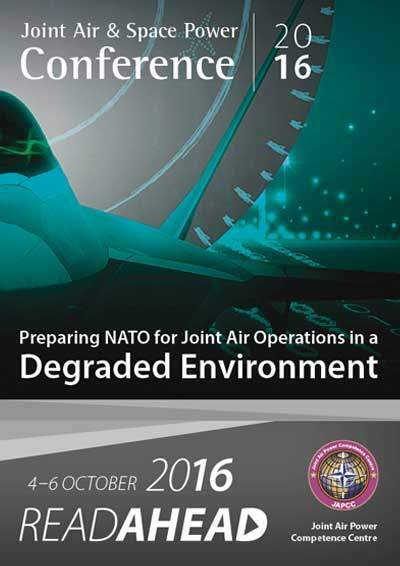 In Special Operations, degradation of the environment does present ­opportunities as well as a need for NATO to reconsider its inner workings in the case of hybrid warfare degrading national security. The challenges of a contested electromagnetic spectrum can be more dangerous for SOF when compared to conventional forces, due to the necessity to achieve relative superiority through surprise, speed, precision and enabling ­supporting capabilities when numbers and firepower are not matched. Uncompromised dedication, habitual relationship down to the personal level and enhanced versatility through wider preparation and expertise are critical areas our nations must continue to prioritize, just as much as ground-breaking technology in small numbers. 1. ‘Defining Critical Technologies For Special Operations’ by Maj. L. W. McLaughlin offers a somewhat dated but still very relevant insight from a technological point of view.